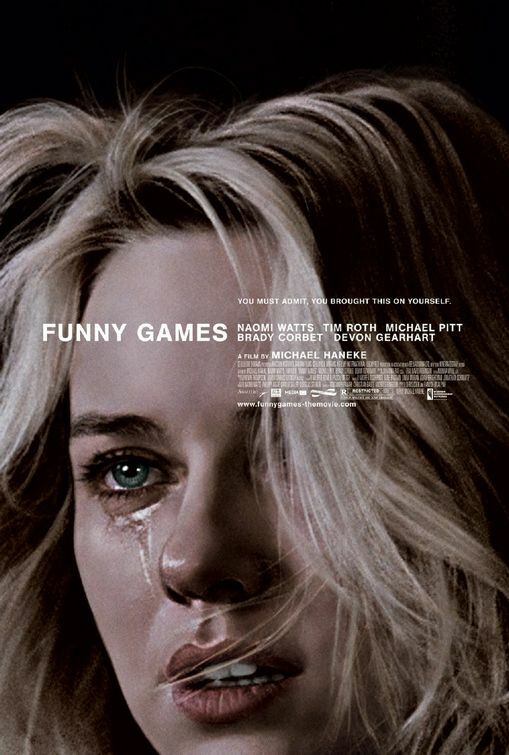 Funny Games was a very interesting movie to watch. It seems at first like it will be just a typical horror movie, but the killers in the movie are so strange that it makes them very comical, if not a little likeable. The movie contains some elements that are not usually present in American cinema such as characters talking directly to the camera, and music that doesn't fit the scene and serves to sort of jar the viewer. The directer normally makes foreign films and this was his first American film. Overall I thought the movie was pretty good, the first half of the movie was great, but the second half was a little dull. I did like the ending though so I would recommend this movie to anyone who enjoys movies that don't fit the normal formula that Hollywood so often uses. I was gonna write a review as well, but I think chris said all I was gonna say.